One of the best suggestions on modern low coffee tables that are simply a gorgeous fit for minimalistic rooms are high gloss coffee tables. Of all the options, available in stores, high gloss coffee tables are the top models, combining elegant design and time relevant look. You can either contrast different furniture and accessory colours in your room or make the job simpler by going with modern low coffee tables that already feature a contrasting colour combination. Black and white is the champion when it comes to popular contrasts — and with a good reason, too. Classic colour blend like this is modern, but still timeless approach that is interior neutral. Unusual coffee table shapes, sometimes consisting of two different parts, are perfect additions for a large living room. Combined with novelty or futuristic furniture, they will give the living room a modern, designer look. In combination with minimalistic modern furniture, they will act as bright, eye catching accents. To get rid of storage units in the living room, thus making it more open, consider going with modern low coffee tables that feature hidden storage compartments. 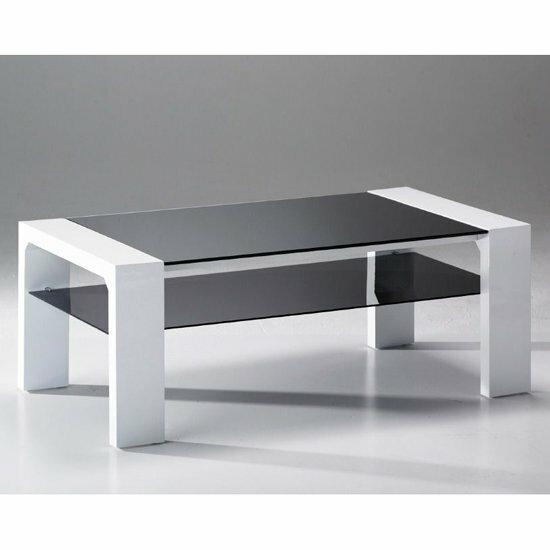 Not many modern low coffee tables have a tempered glass surface, and going with a model that has one will give your living room a one of a kind look. Moreover, in a combination with other glass furniture, tables like these will visually make the room a bit larger — and lighter. For the interior that is truly one of a kind, a padded coffee table may prove to be one of the best solutions. And, a table like this will also offer a stylish seating place, making the room unforgettable. Modern low coffee tables will look most impressive in rooms, filled with natural sunlight. Large windows will generally have the job done. Optimising your artificial lights is another important step in this decoration theme. Finally, do not forget that the choice of a furniture store matters. The bigger and the more reputable the platform is, the higher are the chances of finding truly impressive modern low coffee tables models. In the UK, a nice store that offers simply an enormous selection of quality furniture solutions from the leading manufacturers is Furniture in Fashion – sneak a quick peek to see it for yourself.